Extracts suspended materials such as sediment, rust, insects, and other particles. Although a level of fluoride is common in drinking water, The MR-2033 fluoride removal system is an effective solution that helps you and your family avoid excess fluoride in your tap water. 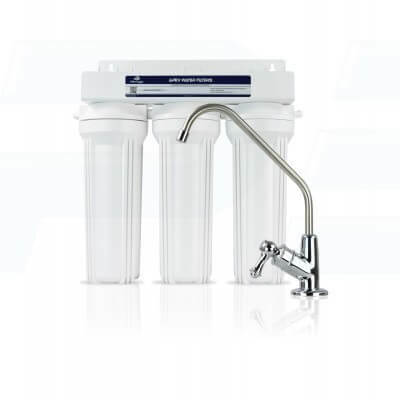 The filtration system dramatically reduces sodium fluoride, fluorosalicic acid and arsenic to acceptable drinking levels.Apex filter effectively removes fluoride from your incoming water to provide your family with cleaner, healthier water. Uses premium-grade activated alumina which is recommended by the EPA as an approved method to remove fluoride from water. Absorbs heavy chlorine byproducts such as chloramines, THM, and TCE.